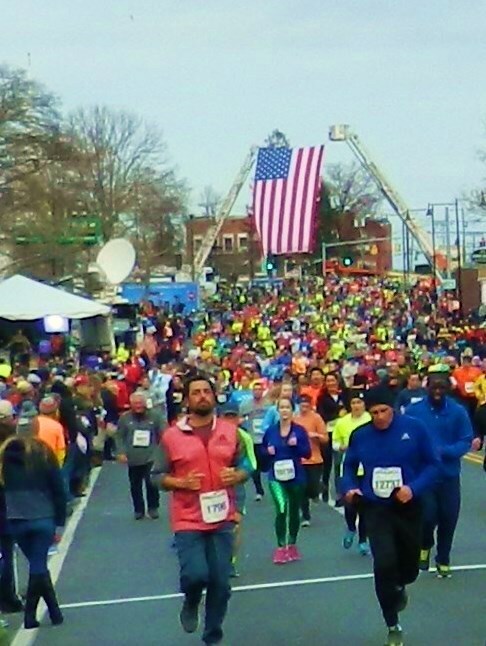 Runners pass under the American flag as they head for the Thanksgiving Day, 80th Manchester Road Race finish line 11/24/2016. 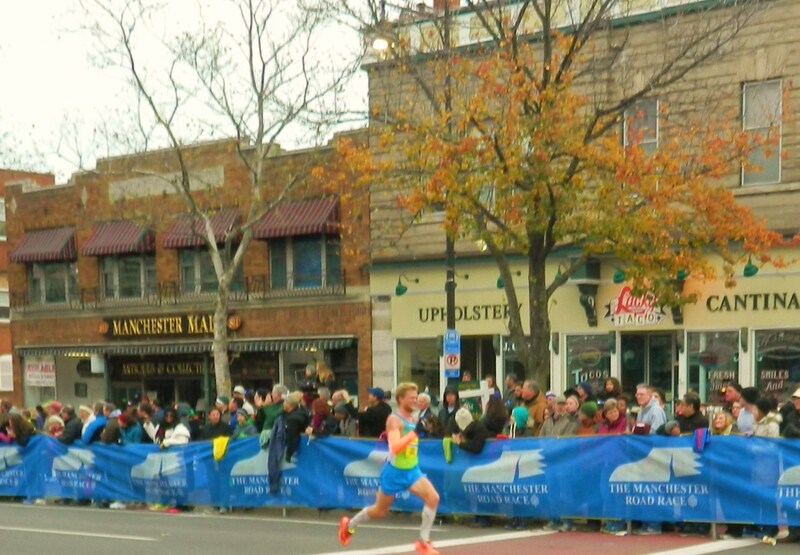 Excitement on Main Street in Manchester, Connecticut reached a crescendo Thanksgiving Day at the 80th Manchester Road Race as two elite male competitors ran nose and nose to the finish line. 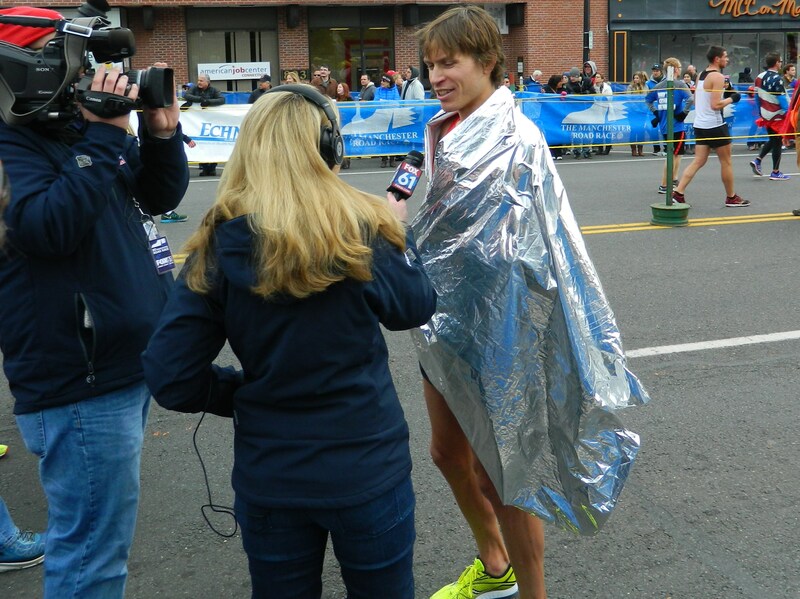 Ben True of Hanover, New Hampshire took the win on the 4.75 mile course in a time of 21 minutes: 31 seconds. The last few strides between True and Leonard Korir of Colorado were so tight it made for a finish described both as “thrilling” and a “nail-biter”. 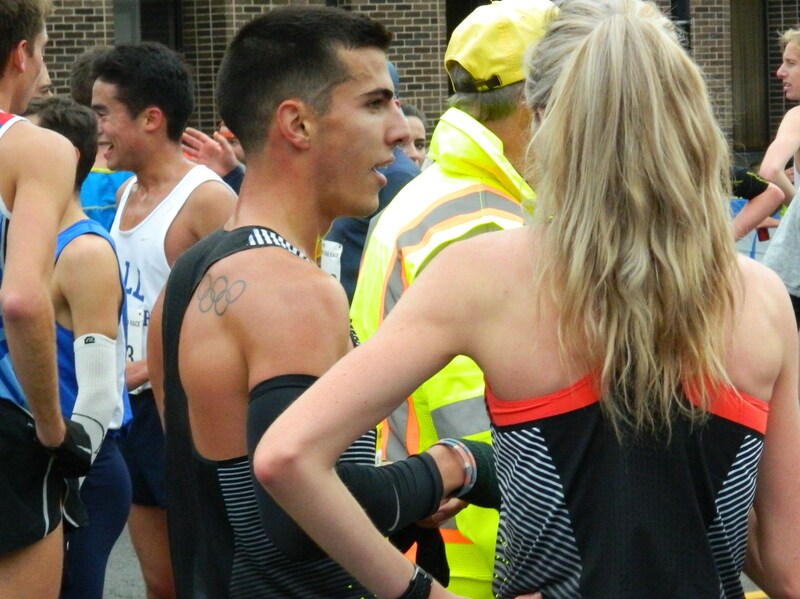 In True’s own words “it was right down to the wire”, the 30-year-old, told Fox 61 television that broadcast the road race live. True also won the MRR in 2014. Winner Ben True being interviewed by Fox 61. 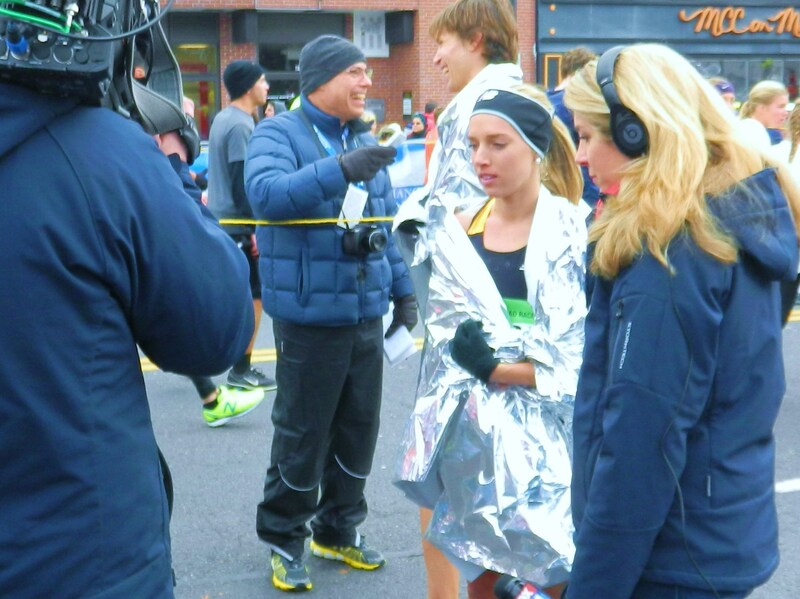 Emily Sisson, 25, of Providence, Rhode Island, a first-time MRR participant, won for the women with a time of 24:08. Local favorite Donn Cabral, a 2008 graduate of Glastonbury High School, came in 8th. Nonetheless, that did not seem to diminish the Olympian’s popularity with fans who later asked for selfies with Cabral. Note the Olympic rings tattoo on Donn Cabral’s shoulder. 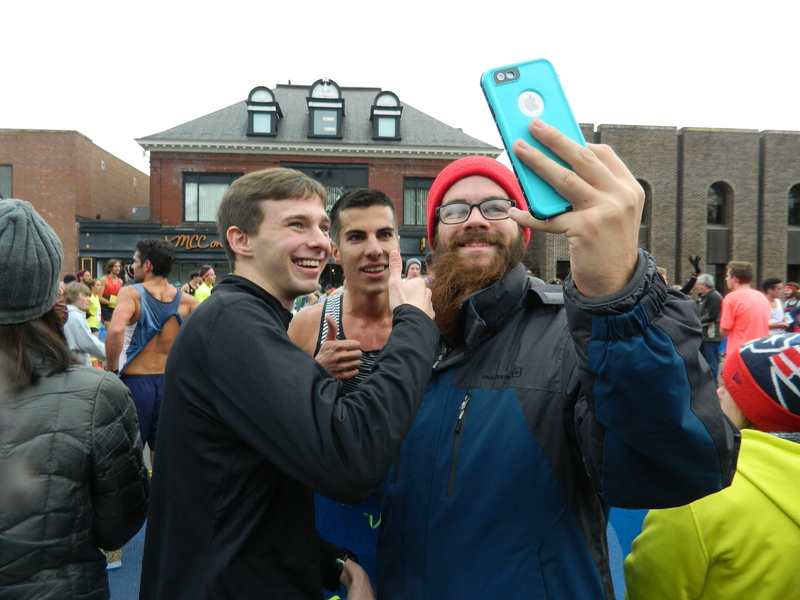 Local favorite Donn Cabral, a Glastonbury High graduate, poses for a selfie with fans after the 80th running of the Manchester Road Race. Women’s winner Emily Sisson awaits the start of her post-race interview. 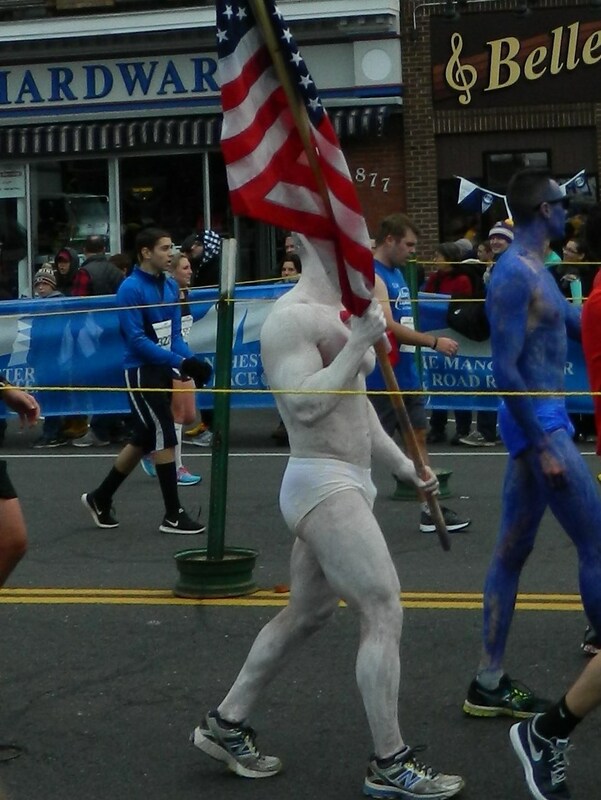 sporting event, one of the biggest in New England. 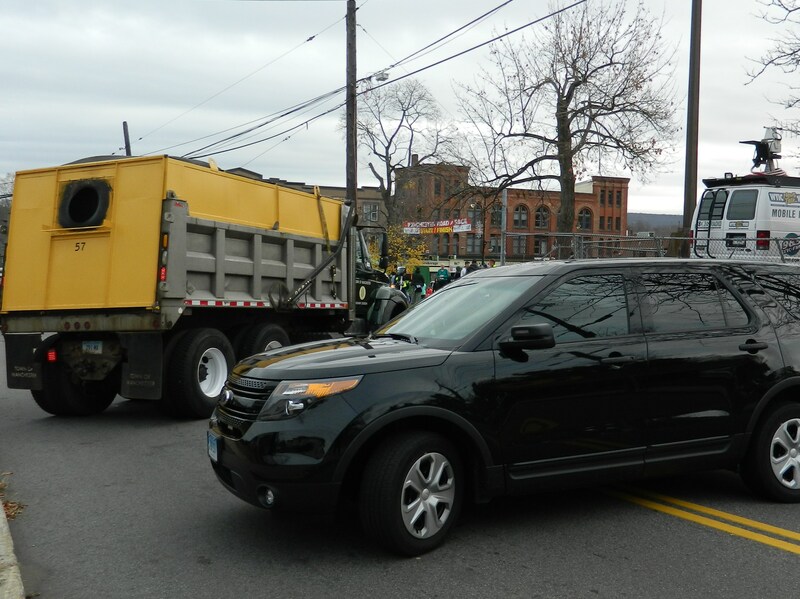 Again this year, race watchers were out in full force in chilly temperatures, continuing to applaud and cheer on runners even after the winners had crossed the finish line in front of St. James Church. The Bread Box Bakery & Pastry Shop in Downtown Manchester was a popular spot. Registration for the MRR is limited to 15,000 but stragglers often fold in once the race gets underway. Runners clad in costumes and bands playing along the race route are some of what gives the MRR what True called a “fun” and “festival” atmosphere. Road race day is also typically a boon for downtown businesses such as “The Bread Box Bakery & Pastry Shop” which was a go-to spot. 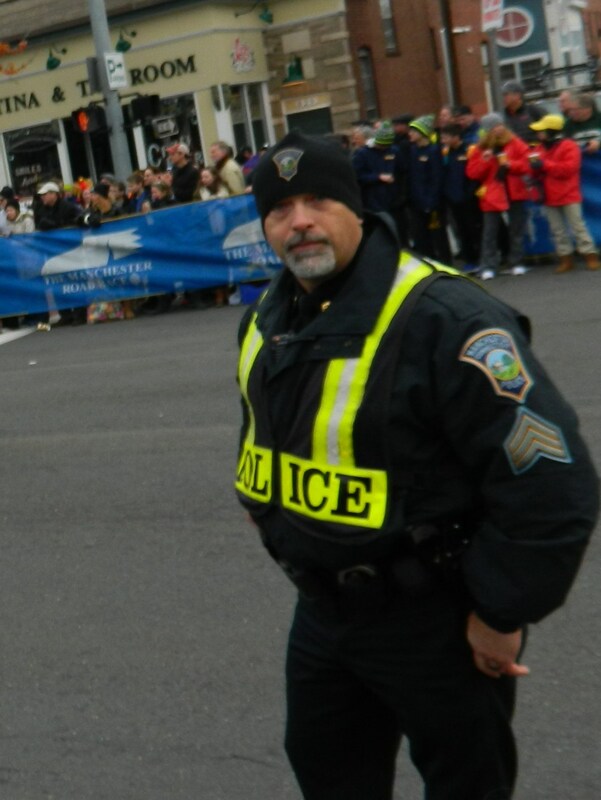 Last but far from least, the Manchester Police Department and the city of Manchester had plenty of security measures in place to maintain safety at the road race. Some of ‘Manchester’s finest were on duty to maintain safety. Street blockades to ensure security.